In Miami and the rest of Florida, it is held that a jury can use a panel of only 6 people except for cases in which the charge is first-degree murder, which requires a 12-member jury. While we’re generally led to believe that all or most cases require a panel of 12 jurors, this is more or less a byproduct of popular culture – movies, television shows and the perpetuation therein. In fact, most states use only 6 jurors for misdemeanors. Florida, on the other hand, uses only 6 jurors when trying to reach a court verdict on felonies as well (Connecticut is the only other state that does this). This is problematic because Florida has one of the highest rates of wrongful conviction. In 1970, the United States Supreme Court gave its stamp of approval to the usage of a 6-member jury in a Florida case, citing that a 12-member jury panel is more or less a “historical accident” and that the Constitution is not abridged by the use of 6 people. With half as many people to convince, the prosecution has an easier game of making its case, and jurors with reservations are more likely to be overpowered by small-group consensus; whereas in a larger jury, they might find someone who shares those reservations and can open an avenue for further exploration and deliberation before delivering a court verdict. Due to 6 jurors, George Zimmerman was more difficult for MOM to defend and to obtain the Not Guilty verdict. Too bad about the "historical accident" as I agree six people can be swayed easier when there are fewer people to find a person who may think as you do. It seems that they should have stuck with the precedent and applied it as it was when the constitution was created. Since this is under Juvenile Justice, I'll post it here. The state Department of Juvenile Justice is trying to save children from being saddled with a criminal record by advocating that law enforcement officials in Volusia and Flagler counties impose civil citations instead of criminal charges for some misdemeanors. Dream Defenders don't seem aware of all the breaks these offenders are getting to keep them out of the school to prison pipeline. Yet, despite this and other diversion programs, the arrests are still at a out of control rate. I would like to hear what else could be done to stop this escalating problem. What can the Juvenile Justice Department do? Did Trayvon ever receive a civil citation? It doesn't appear he did, just diverted to a cover up program. I agree with BerthaBlue - at least some of those in trouble will remain in trouble. However, if applied very judiciously, giving a break to kids who can be helped, it could be a positive thing. There used to be a special scholarship for "at risk" students available around here. The promise of that scholarship and the threat of losing it really helped some kids who could be helped, kwim? They had to graduate with a certain gpa and keep their noses clean, of course, but it was more than that - kids that were born without much of a chance and knew it were given a break and for the very large majority of them, appreciated it very much. That scholarship truly saved some very good kids from becoming not so good. Dropping out, or barely getting through with D's wasn't an option, or they'd lose the scholarship. Suddenly they had a reason to go to school, to pay attention and try to learn, even. I mean, there's no way to be certain how things would have turned out otherwise, but I believe, sincerely and strongly, that those scholarships changed lives, saved kids, and even eased things for parents because the kids had to behave, kwim? Yes I agree that it can help those that want it. Like addiction, you have to want to help yourself first and foremost. This is what teachers deal with from a teacher's perspective. I haven't had a child in this system for 10 years, but grandkids are there now. This is a pretty diverse community. As far as I can tell, and to be fair, problems arise from all colors of the community. Currently, the school system is under complaint from the Southern Poverty Law Center because black students are punished more often and more harshly than their white peers. This whole course of events is so troubling to me. It seems like the wheels are spinning and they're moving backwards. From ours' first day of school, they were responsible for their behavior and if they goofed up, they had consequences which included apologizing to the teacher and/or whomever else was involved. Thankfully, there were very, very few apologies in total, zero from the girls; but we figure it's mostly because they all knew there would be consequences. Now that I think about it... do you think we punished a child more often, and more harshly if a boy? Yeah, it wasn't because of the child's gender - it was whether or not they misbehaved!! The Bureau of Prisons has issued new compassionate release guidelines. Dated August 12, 2013, they are available on the BOP website here. The policy addresses release under both 18 U.S.C. 4205(g) and 18 U.S.C. 3582©(1)(A) (pre and post-1987 sentences). 18 U.S.C. 4205(g) was repealed effective November 1, 1987, but remains the controlling law for inmates whose offenses occurred prior to that date. 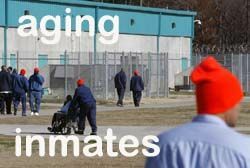 For inmates whose offenses occurred on or after November 1, 1987, the applicable statute is 18 U.S.C. 3582©(1)(A). Personally, I'm very conflicted about this. Don't do the crime if you don't want to do the time, blah blah v. someone dying, and/or very old isn't likely to be much of a danger to the community, or able to be rehabilitated any more. As a law-and-order, rule-of-law type, I tend to lean toward the former, but as a human, I understand that some cases may put me fully into the camp of the latter. As an American who regularly reads/listens to/watches news, I know this will be abused like so many other things. Yup. Conflicted. What are your thoughts? Hi Deb- in the last year and a half, I have come to view police in a very negative way. I do not trust them, and i fear them. I'll go so far as to say I don't like them. I'm sure (well I hope) that there are good and honest policemen, but they're not in the majority in my neck of the woods. And it appears there are many no good ones all over the nation. Too often, the pattern seems to be that LE tends to attract a certain kind of person. The kind that desperately need authority. The uniform and badge provide the authority they crave. They're usually compensating for something. ( think of the short man who drives the humongous truck so he can be above everyone else and look down on ppl). Having said that, what happened to this policeman was a despicable tragedy. And anyone who would delight in it because he was a cop is no better than what they despise themselves! I don't like cops, but I would never, ever want some thug lowlife to kill or harm even one cop. Heck. I have gotten tickets too many to count, been arrested more times than I care to admit. The one thing I can honestly say is that I was doing what they said I was doing. But heck, too. When I have needed help, they have come through. What they personally think about me...I could give a flying she-ite. ETA: Do you live in Louisiana? There are some assbites in that neck of the woods. Hi Deb- No, not Louisiana, Western NC. I have never broken any laws, but have seen the harassment of others, including my son, by the cops here. The one time I did need them, they were a day late and a dollar short. Worthless is what they are. Wish I could've been there when you talked to the chief! Would've been better than ice cream. I was on watch list before they became more common...starting with Jimmy Carter in Houston...I knew the presidential suite was on the 24th floor of the Hyatt. Rode ride up there on an elevator and promptly got escorted down by SS. After I got ID'ed of course. Told I was no longer welcome in the hotel until the President was gone. I talked to Secret Service about Ronald Reagan and asked them what I could tell him. They said don't even threaten to untie his shoelaces. Good by me. Two pages in English and Spanish to tell him what kind of an arse he was. Tried to join the CIA while I was in college just to remind them I was still around. I had a lot of fun. I am a She-ite disturber. Old hippies and all. I have a certain animosity towards authority. Broward County has the highest rate of exonerations of defendants in Florida. I'm with you on Rudy Yates Molly and still he found some goof to marry him after Andrea was put away, a reporter asked Rudy what they say when his dead children come up in a conversation and Rudy said something along the line, "They really don't it is not something I like to think about." I thought the reporter showed great restraint in not throttling him within inches of his life, cameras rolling or not. I am hoping you find me here. After I retired, this was the first filicidal trial I followed from beginning to end. I was happy the appeal happened and her retrial verdict was proper for her condition. Texas got it right this time. She had one of the best attorneys (George Parnham) and Houston could certainly afford him and the appeal process. Rocket scientist, Rudy Yates, must be the biggest dumbass father/husband to ever breathe. I quit reading anything about him but search every once in a while about Andrea's status. How in the world did he find another wife? I'll search around a bit about Andrea and Rudy. I haven't read or heard anything in a long time. And I agree Andrea is where she needs to be. Rudy not so much, honestly I didn't follow the story except peripherally, but then I met a psychiatrist who had seen Andrea in the bin and his take on her (we were discussing GBMI Guilty But Mentally Ill v NGBRI Not Guilty by Reason of Insanity) got me interested in looking further into it. When I heard and saw Rudy I was ill, no one, no one should leave their children with someone as disturbed as Andrea, not even for a minute, and I don't buy for a second that Andrea seemed capable that morning. I had a friend with a mental illness, she told me on the phone that the only place her children would be safe was heaven, the police were there before me and I was there in less than 5 minutes. Anyhow I haven't devoted anymore time to find an Andrea or Rudy update. I wonder if he has more kids with the new wife. Ack. Maybe tomorrow I'll do some searching. I have been spending some time reading about the Antonio Robinson case. Another crock of BS. Interesting map that I ran across today. I had asked for additional data to be added to it. Author referred me to @deray. LOL! I'd like to see additional info added to reflect party in control, two parent status, ebt status, etc. !